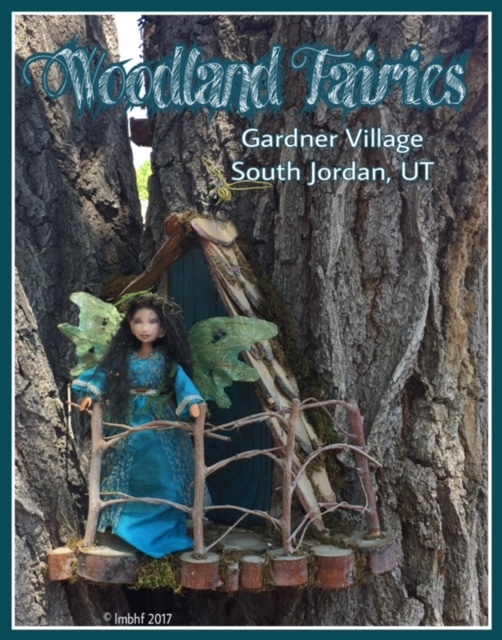 Gardner Village is a quaint little collection of shops, surrounded by pretty landscaping, in South Jordan, Utah. For years they have had a “witch fest” every fall with scenes featuring fun and fanciful witches all through the village. We’ve made it a tradition to visit every year with our family. More recently they have done something similar with elves around Christmas time and now fairies in the Springtime. 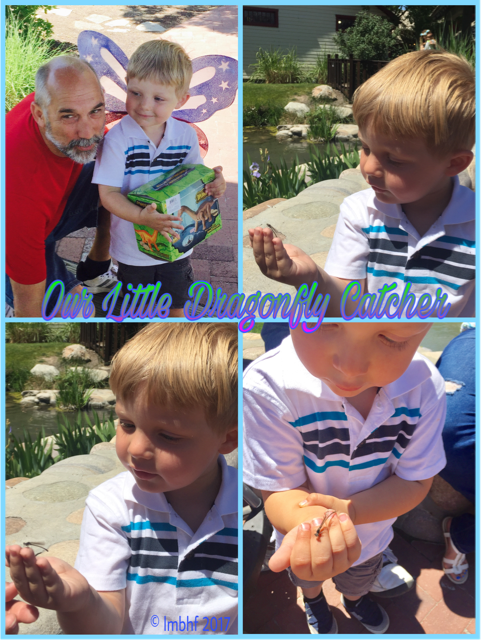 This weekend we decided to have some family fun and we went to see the Woodland Fairies! Several of the shops had fairy gardens planted in quaint little pots outside their stores. There were also lots of garden decorations available like metal butterflies, birds, dragonflies and ants. Since fairies are tiny we had to look closely to find some of their little homes and hiding places. They were hidden among the trees, the flowers and grasses and even in the ponds! Some fairies were out where we could see them while others were obviously safely inside their homes and all we found were their ladders, bridges, pathways and doors. 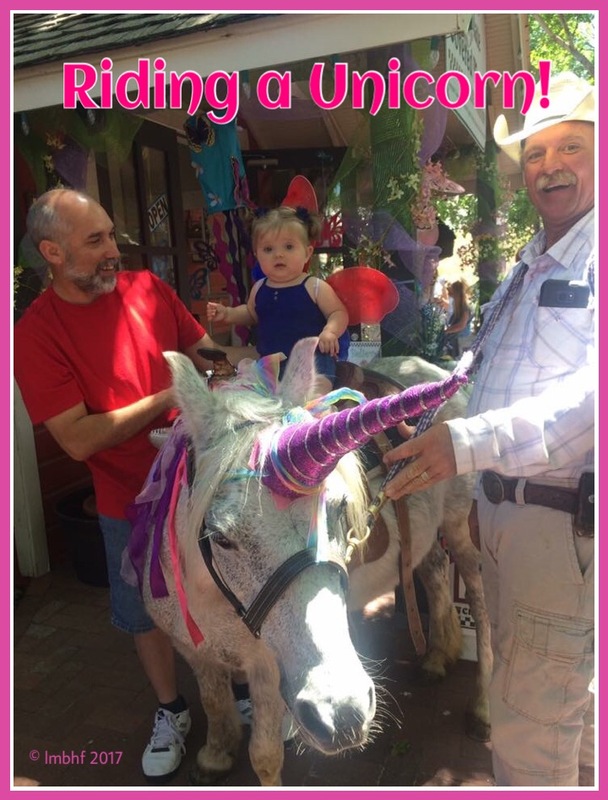 Our little fairy princess G5 had her own fairy wings and even rode a unicorn! The scary cowboy made her cry though and she insisted on cutting the ride short. Good thing though ’cause the unicorn had to “take a leak” right after that (it was actually more like a colossal flood) and G5 lost her shoe right in the middle of it! Yuck! There were no rainbows or cotton candy fluffs about it! 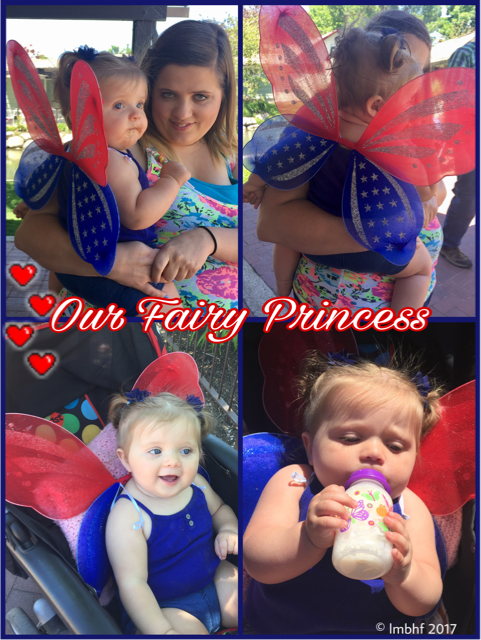 The girls and I all stopped to take our pics in front of the fairy wings! Don’t We Make Lovely Fairies! 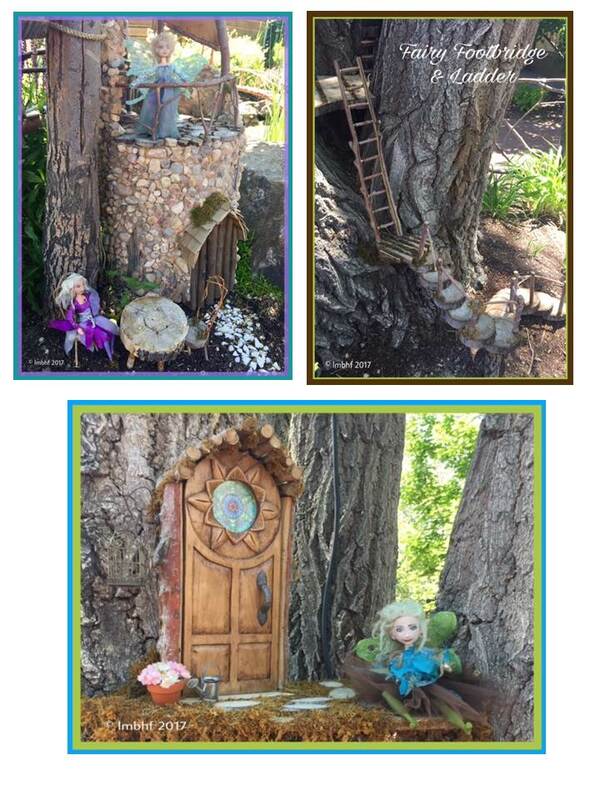 A visit to see the Woodland Fairies at Gardner Village was the perfect Family Fun Activity! Everyone had a great time! This is such a wonderful way to spend the weekend with family. 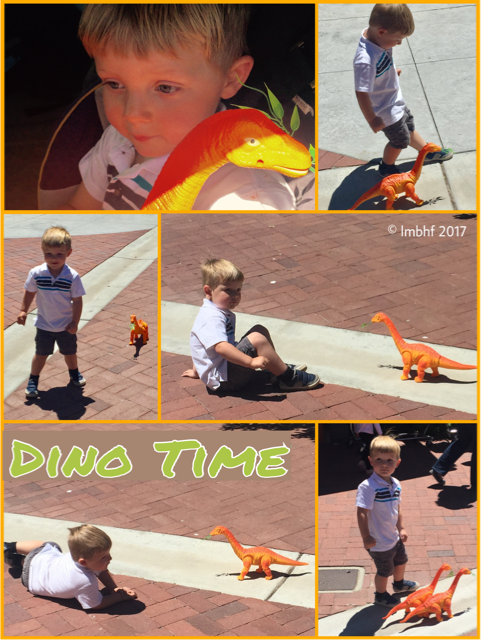 Thanks for sharing this at #blogginggrandmotherslinkparty ! What a great place to visit! Loved the unicorn and all the fairies. Looks like you all had a fun time. I keep saying I’m going to make a fairy garden here at my house. Thanks Lori for linking up and co-hosting at the #BloggingGrandmothersLinkParty. I shared this post. How lovely discovering fairies in the garden! 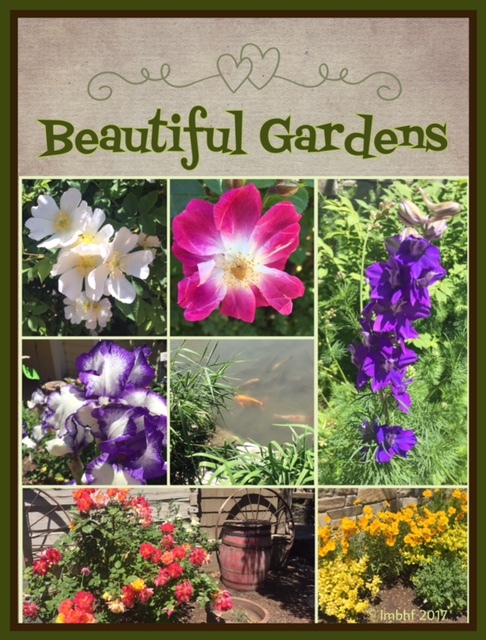 I enjoyed your photos and the flowers are gorgeous. Thanks so much for sharing with us at #blogginggrandmotherslinkparty. I’ve pinned and shared on social media. Catch you at the link up next month! 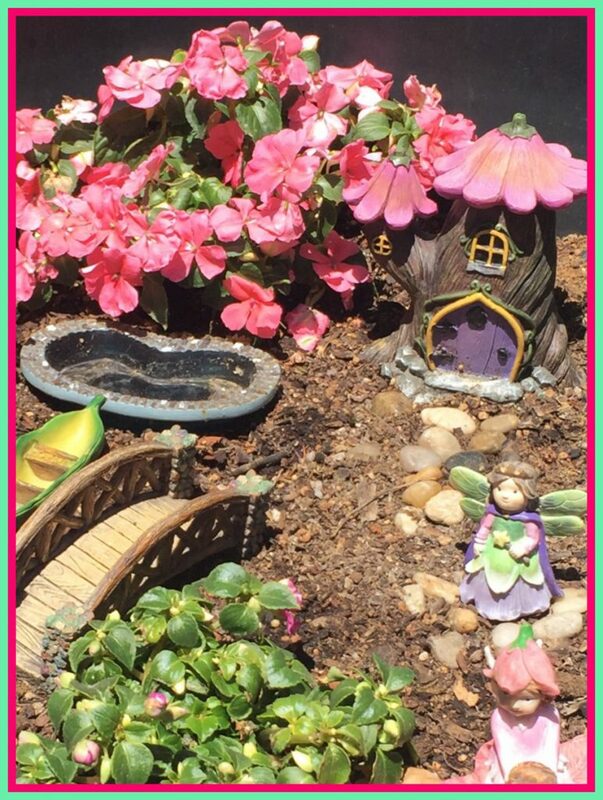 I really want to create a fairy garden in my backyard next year. What a great time you all had. 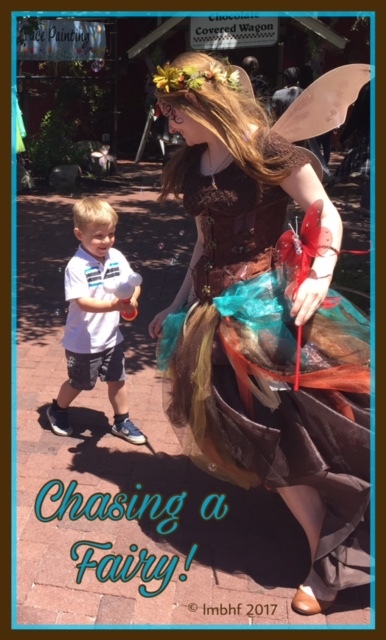 Love the fairy wing photos. 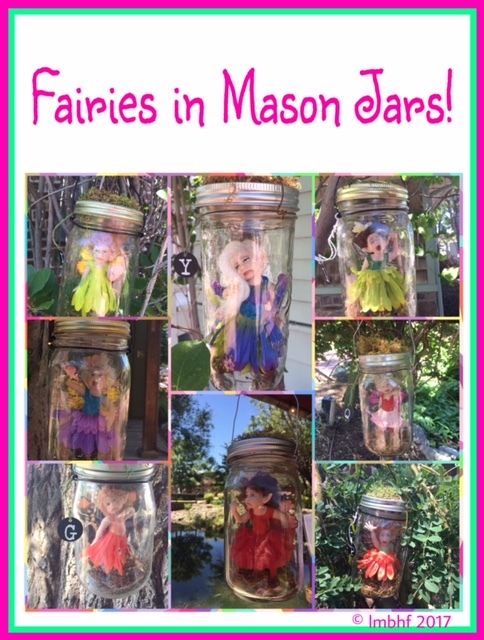 And the fairies in the jars. Your grandbabes are adorable. 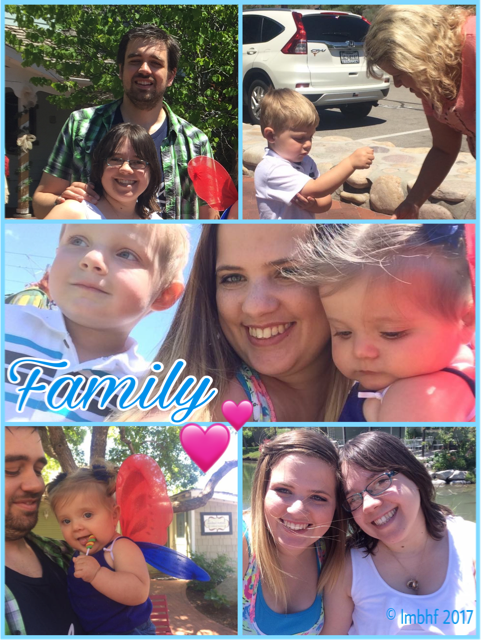 Glad to see you had such a delightful time with your big family! 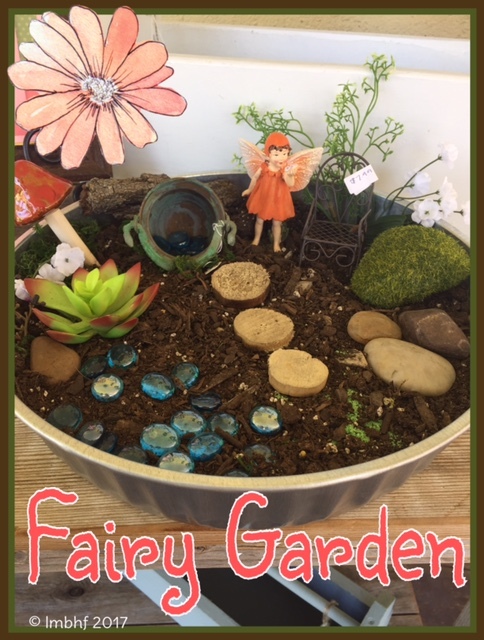 I’ve created two fairy gardens and have enjoyed it tremendously! My grandchildren love it too. Each time they visit they are looking for anything new and moving things around! This sounds like a wonderful family outing! 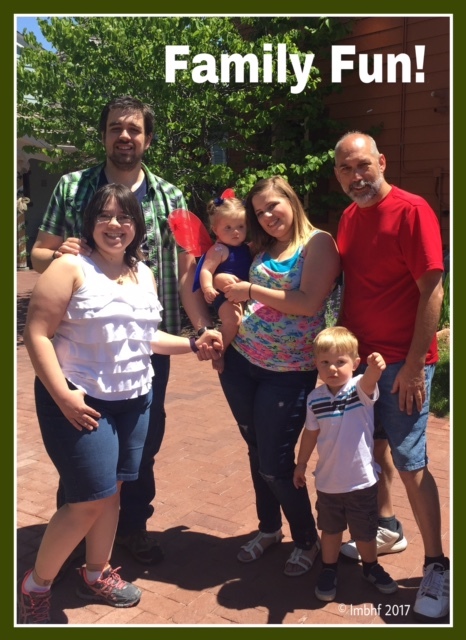 Thank you for sharing your day with us at the #BloggingGrandmothersLinkParty. Pinned!